SC is offering a patriotic community program where we (SC Bands) will come and put a 3'x5' US flag on an 8ft pole on your property on five holidays in the summer from May - November for an annual $36 subscription. Holiday's include: Memorial Day, Flag Day, 4th of July, Patriots Day, & Veterans Day. To RENEW or become a NEW subscriber, click here to complete the form online OR click here to download the PDF subscription form to turn-in with payment. It is with great honor to announce that our South Central High School Trojan Marching Band has been selected to perform at the NCAA Chick-fil-A Peach Bowl. The band will march in the Peach Bowl Parade, take part in the Fan Fest and perform thier halftime show in the Mercedes-Benze Superdome. The band is agressively fundraising to ensure all band students can travel to Atlanta, GA and participate. Click HERE to download the trip iterineary and payment schedule. Support our amazing artisans, handmade crafters, and much more! Find something for everyone on your Holiday shopping list- including yourself- all while supporting the SC Trojan Bands! Saturday, December 14, 2019 9:00 AM - 2:00 PM in the middle school cafeteria. Admission is by donation only (includes a raffle tickets for door prizes). 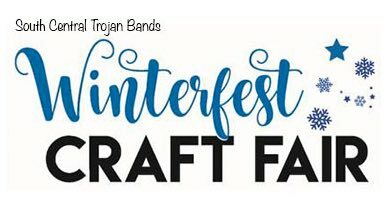 Join us on our mission to be the best Craft Show in the area. Hope to see you there!! CRAFTERS/VENDORS: Click here to download the contract. 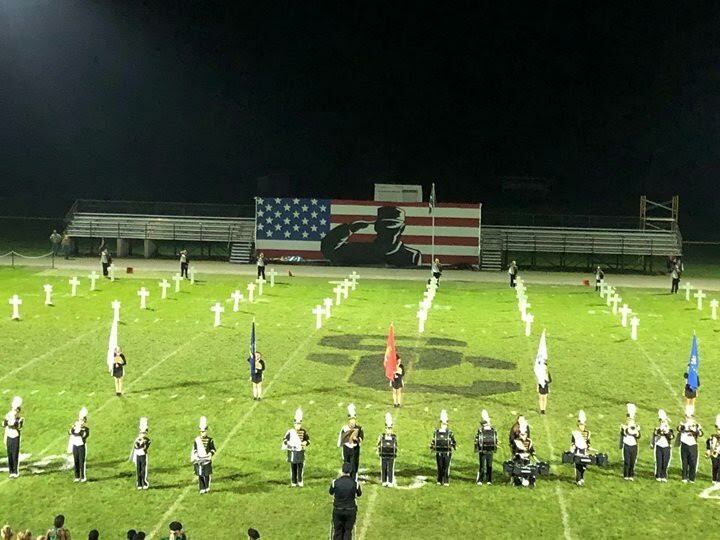 What an AMAZING show we had on September 15, 2018! The evening was beautiful and the bands were spectacular. 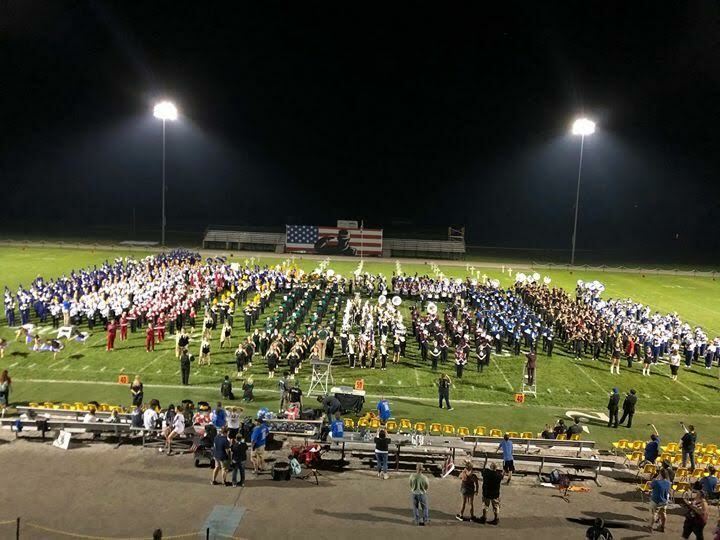 Mark your calendar for the 5th Annual Parade of Bands for Saturday, September 14, 2019! 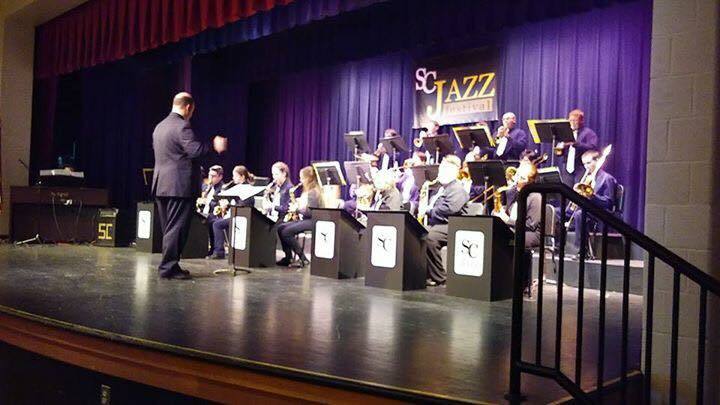 Mark your calendars for the 6th Anual SC Jazz Festival to be held on Saturday, April 18, 2020 at 5:00 PM. On Friday, April 13, 2018, the South Central Concert Winds and guests performed a "Sacred Concert" at St. Paul the Apostle Catholic Church in Norwalk at 7:00 PM. The music included band with pipe organ and a vocal quartet. Selections included: Crown Him With Many Crowns, Rhosymedre, On A Hymnsong of Philip Bliss, Fanfare to Joy, The Ludlows, Verleih uns Frieden, Beach Spring, Gloria, I Heard the Voice of Jesus Say, Lacrimosa, Theme from Schindler's List, Ave Maria, Sine Nomine, Con te partino', Highland Cathedral, and Alleluia! Laudamus Te. Marching Band - issued Trojan uniform (some items are purchased by students), Summer uniform includes khaki shorts & black band t-shirt (for any June or July performances). Concert Band (HS/JH) - All wear black dress pants, black long sleeved button down collar dress shirt, black socks, black dress shoes, and white matted tie will be issued. Jazz Band - All wear black dress pants, black long sleeved button down collar dress shirt, black socks, black dress shoes, and white gloss tie will be issued. Our band program uses a web based program management system called "Charms". Students and parents are encouraged to download the Charms app onto your smartphone. 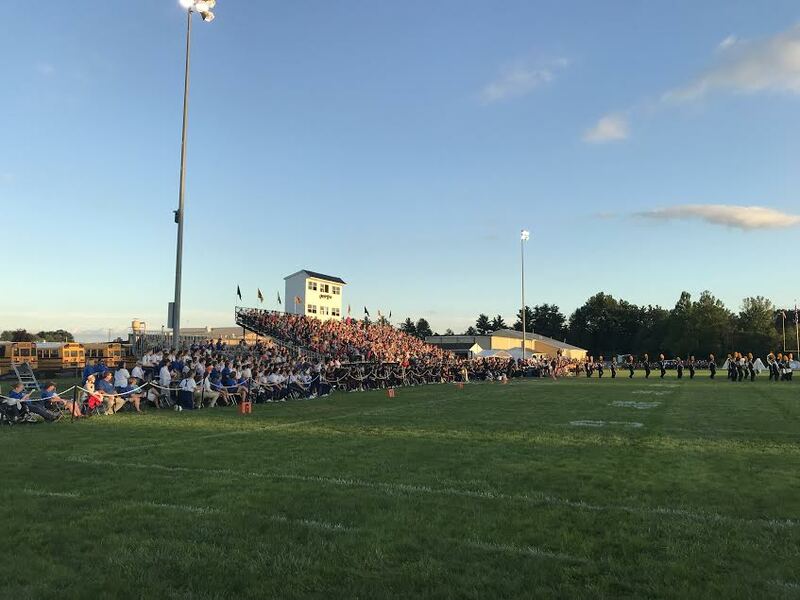 This program allows individuals to view band fees, view band calendar, view fundraisers, sign-up to chaperone events, purchase items from the online band store and use practice tools. If you would like to see our videos on Youtube, click here. Videos uploaded regularly. Like us on Facebook! Search for "South Central Trojan Bands" or simply click on the image below. This will be one of the ways that Mr. Gaither will communicate with band parents, students, alumni, and friends. Mr. Gaither received his Bachelor of Arts in Music Education degree from Hiram College and his Masters of Education from Kent State University. Mr. Gaither's primary instrument is euphonium. Mr. Gaither's wife is a music therapist at Cleveland Clinic Hospital in Akron and sings in the Cleveland Orchestra Chorus.